Fellow Italian fans can start hunting the new Siege figures at their local retail. 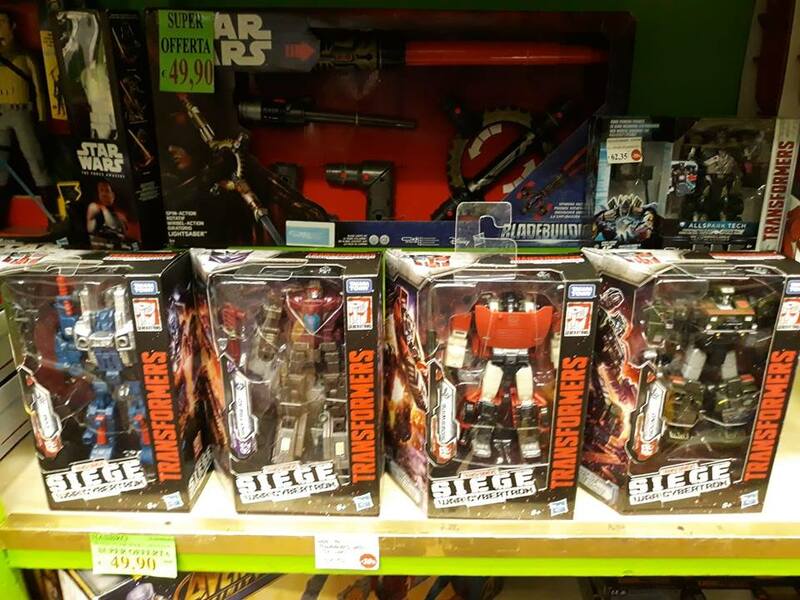 2005 Boards member SkyJack92 is giving us the heads up that War For Cybertron: Siege Wave 1 Deluxes (Sideswipe, Cog, Hound and Skytread) were spotted at Toy store “Il Paradiso dei Bimbi” in Genoa, together with Leader Class Shockwave. Good to know. This week I'm a bit busy, but starting next week I'll try to do some hunting. I believe you, but if the discount is limited to that shop, it doesn't necessarily helps people who live outside Genova. I tried to check on the Toyscenter website, they tend to be on the expensive side at least in Friuli, but sadly they don't have Siege figures listed. No, it's 25. The tag says 32, but there is a discount so the true price is 25. I bought that Skytread in the photo for 25, trust me. Uh, prices aren't actually that bad, time to go hunting for a Cog and maybe Magnus. No, Deluxe are 25 €; Leader wave 1 was also found, around 60 €. Here in the Italian community we got our first sightings of the new line during the last few weeks. I got my hands on the first Deluxe wave today, for example. 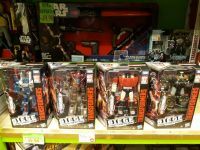 Toy store "Il Paradiso dei Bimbi" in Genoa got all the Deluxe figures plus Leader Shockwave.